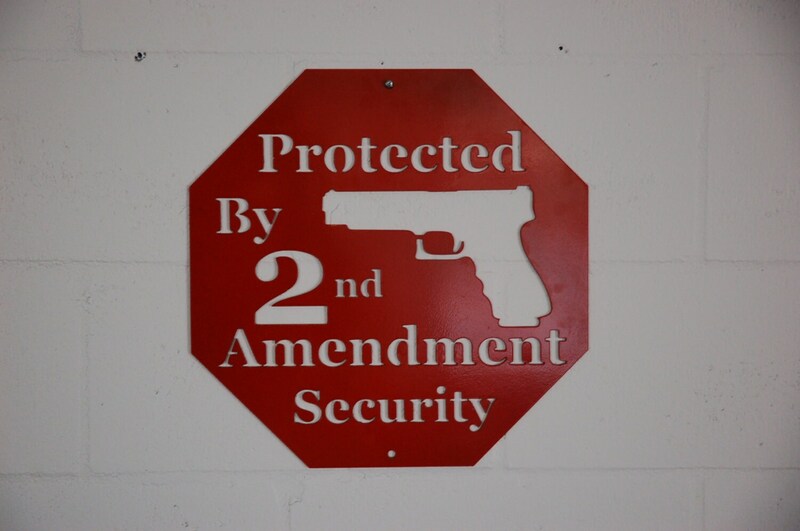 POWDERCOATED Metal security sign that reads "Protected by the 2nd Amendment." Even better at crime deterrent than an ADT sign :) Powdercoating is much more durable than paint, and will withstand the elements without cracking, peeling or flaking. The sign measures 15" by 15" across and it is made of 1/8" aluminum.